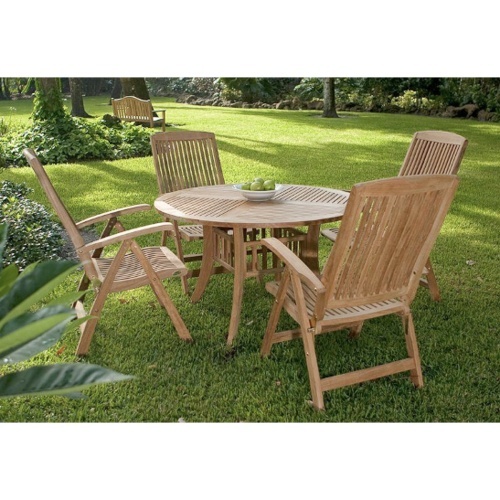 With style and sophistication to patio, deck and front porch of your home, this classic teak outdoor furniture set includes four Westminster Reclining Armchairs combined with a Grand Hyatt 4 ft BLS table that has our new blocked leg design. 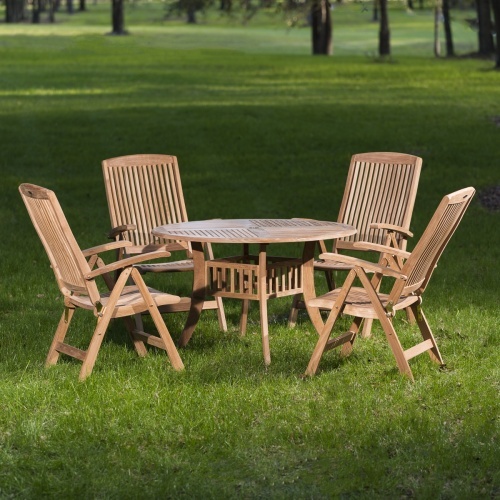 Westminster Teak furniture is so beautiful you will want to keep it indoors, yet it is perfect to use outdoors as teak patio furniture. 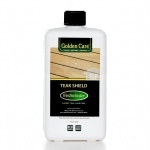 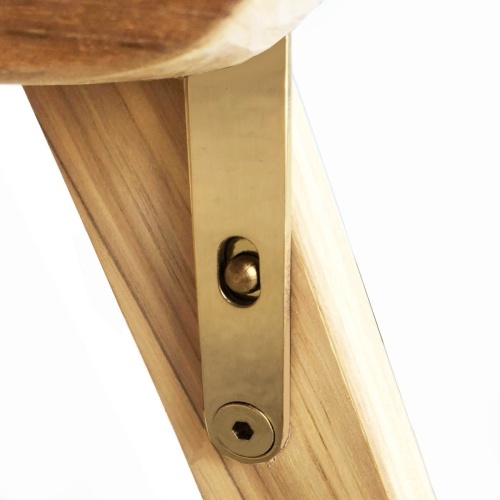 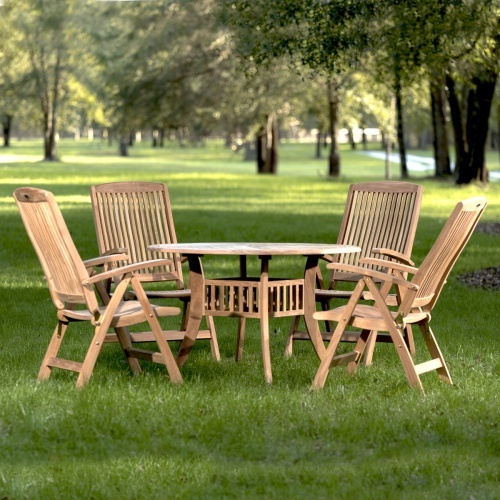 Teak wood is capable of withstanding any climate, cold, hot or wet. 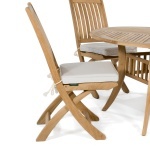 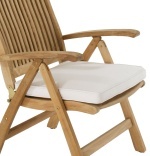 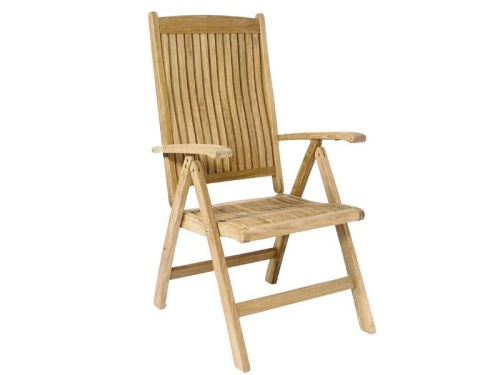 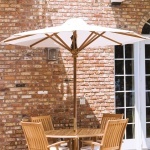 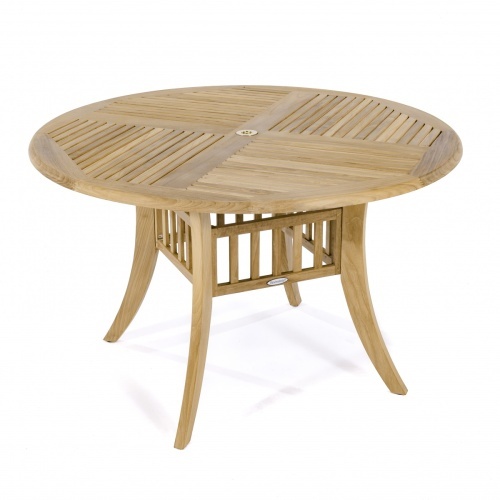 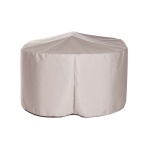 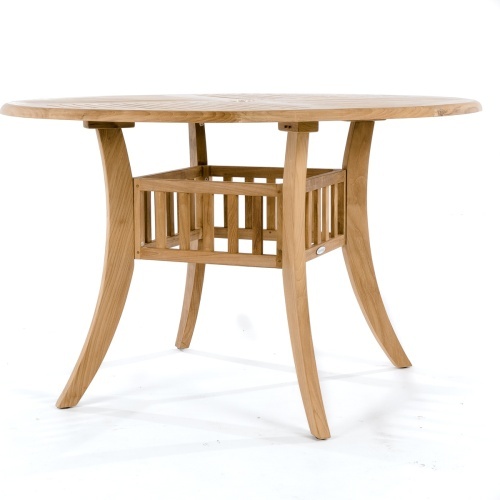 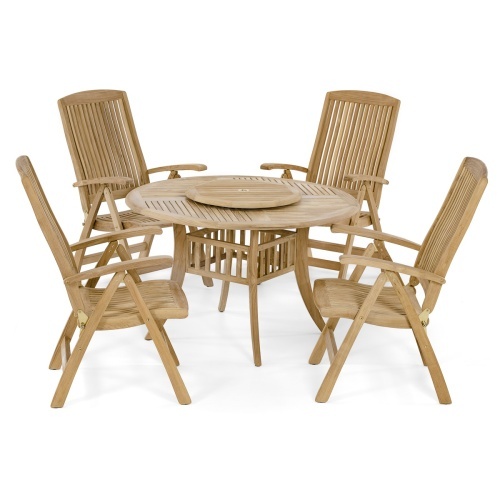 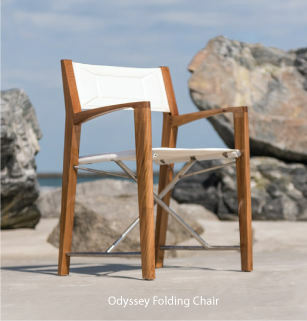 Our teak patio furniture is kiln dried to a moisture content that allows it to withstand all climate conditions.